Christmas gifts for pets are now in stock. 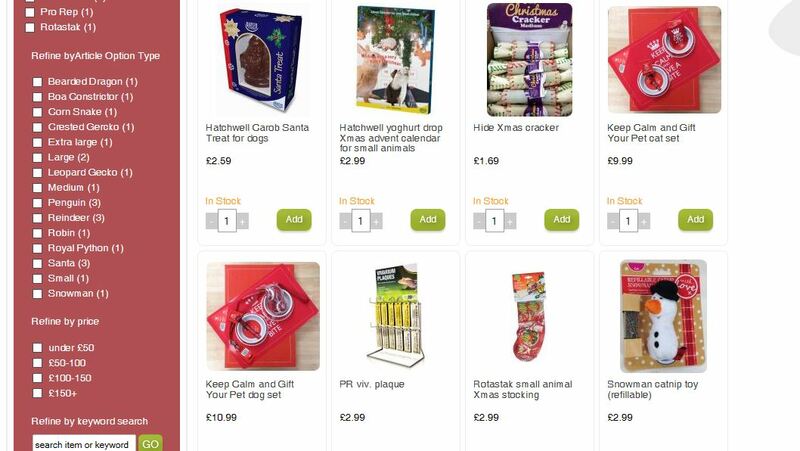 We have a range of Christmas gifts for pets instore and online. Here’s a small sample of what we have on offer this year. Christmas gifts for pets such as dogs, cats, small mammals and reptiles as well as a range of novelty items such as reptile or spider tinsel for your tree. Obviously all the “chocolate” treats we sell in our Christmas gifts for pets range are not real chocolate but are pet safe (usually carob). Please make sure you do not allow your pet access to real chocolate this Christmas (or at any time). It is toxic to animals and can lead to serious illness (and a hefty vets bill) and even death. The effects in dogs and other animals can be cumulative, they build up, so even the odd little bit is really bad for them and can lead to liver failure. So if you want to treat your dog make sure you buy from our safe range of Christmas gifts for pets. 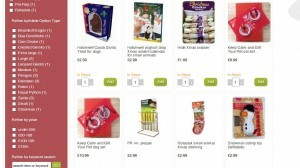 This entry was posted in Cat, Chrstmas gifts, Discount, Dog, Pet care, Rabbits, Reptiles, Uncategorized and tagged angell pet, angell pets, christmas gifts for cats, christmas gifts for dogs, Christmas gifts for pets, Christmas gifts for reptiles, discount pet supplies, gloucester pet shop, gloucester pet shops, pet food supplies, pet shop gloucester by rangell. Bookmark the permalink.